Gut says Packers are the more complete team and should win but just too many factors surrounding this game for it to be this simple. broncos at home have been world beaters last 20 games or so. Many more things to look at here but to me when you break it down this game looks more and more like a coin flip the further I go along. Packers will be my biggest play of the year. Never in my life have I seen a 6-0 team that could easily be 1-5. Luck runs out this week. Key injuries to watch during the week for GB: On defense, BJ Raji, Nick Perry and Morgan Burnett. On offense, Adams & Ty Montgomery. I think GB gets two picks against Manning, maybe more. They beat SD last week purely on talent alone, bye came at a perfect time for a very banged up GB squad. Rodgers and Brady both trump Manning as far as betting against someone in prime time. GB will destroy this Denver team. As someone said, Denver could very easily be 1-5. The slipper comes off and I can't wait. 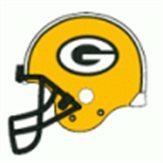 [Quote: Originally Posted by earthWake] Packers will be my biggest play of the year. I like the home dog. That Denver defense is nasty. Packers will be my biggest play of the year.Never in my life have I seen a 6-0 team that could easily be 1-5. Luck runs out this week. The Packers are the better team but this reminds me a bit of Rodgers going into Buffalo and having a hell of a time trying to throw the ball. The Broncos have been playing at a ridiculous level on defense so I'm feeling like Denver will have some value for the ML or +3.5 or more. There will probably be better picks besides this game, though. I'm on Broncos if I had to play it today,but I'm playing this game for a healthy amount...Broncos D will disrupt Rodgers in the Altitude. Week 1: Outplayed the entire game by a poor Ravens team. Needed a late pick six, and a Ravens drop in the endzone with seconds left to win. Week 2: Outplayed the entire game by a poor Chiefs team. Needed a 4th and 10 conversion late, and an incredible 2 touchdown in final 30 second span to win that game. Week 3: I'll give them this win over Lions but it was far, far from impressive. Week 4: Vikings no-show in the first half, spotted a 20-3 lead and almost blow it. Need a late strip sack with Vikings driving for the tie/win to win this game. Week 5: Poor performance aided by 2 missed Janikowski FGs in 4th quarter that would have given them the lead. Lucky pick 6 on miscommunication that I read may have been caused by the Blue Angels flying over head. Week 6: Browns have the Ball in overtime and need roughly 10-15 yards to kick game winning FG. Somehow escape to win by 3. Lucky is an understatement. Now they play one of the best teams in the NFL. Rodgers has seen and beat better defenses (legion of boom) than this Denver one. Denver can't run the ball to save their life and Manning needs to crow hop to get the ball down field. Luck runs out this week. [Quote: Originally Posted by Digitalkarma] I like the home dog. That Denver defense is nasty. i agree with your assessment but maybe Denver is destined this year. Packers have played a rather fairly pedestrian schedule too and have been doing a lot of home cooking and you know the Packers are much better at home than on the road. Denver's running game may be non existant.. but they've played some good Run D teams. sure their running game has underachieved overall but when given a chance i think they can run against average run defenses like they did against the Browns last week. i think they will have some success running on the Packers.. I don't think their OL played consistent. Against the Seahawks I counted 8 would-be-sacks for instance (if not for the greatness of Rodgers). The Packers needed 4 INTs (one for six) and three missed FGs to beat a good defense at Lambeau (Rams). vandal with the "lean" on denver which means no play and if denver win he'll act like a "genius"
[/Quote]vandal with the "lean" on denver which means no play and if denver win he'll act like a "genius"
Couldn't agree more, bye week couldn't have come at better time for GB. Would feel much better taking GB if all these guys are back. SD absolutely shredding GB pass D was scary though and w/o much pressure on Rivers w/ backup OL playing. The pass D were looking good going into that game. Yes, I know Rivers is light years ahead of Manning now. GB passing struggle the 3 games b4 bye. [Quote: Originally Posted by Stevedore] Key injuries to watch during the week for GB: On defense, BJ Raji, Nick Perry and Morgan Burnett. On offense, Adams & Ty Montgomery. Trends like this are pretty to look at, but the game is about matchups. This game is probably a no play for me even with how horrid Peyton has looked, but maybe a bye week to prepare for this game is what he needed. The Packers D looks terrible, SD threw all over them last week and Gurley had a monster game 2 weeks ago, I just don't see how will the Broncos be able to exploit that weakness when they can't run and can't pass for much. Good D's have been able to contain the Packers, and the Broncos are probably the best they've faced so far (since the Seahawks D hasn't looked that great until this week). But maybe after the bye they can get Cobb back at a 100% and Lacey from whatever he's struggling with. Too close of a call for me to pick either side, they are better matchups on the board. Packers haven't played that well either, they don't have a single W against a team with winning record and they haven't really crushed any oppnent, even my crappy 49ers were in the game until the last quarter against them. That luck argument is exactly what will make all the cash go to the Packers, but in reality they haven't been playing very well either, bad running game, banged up WR corps, bad D, it's all on Rodgers.